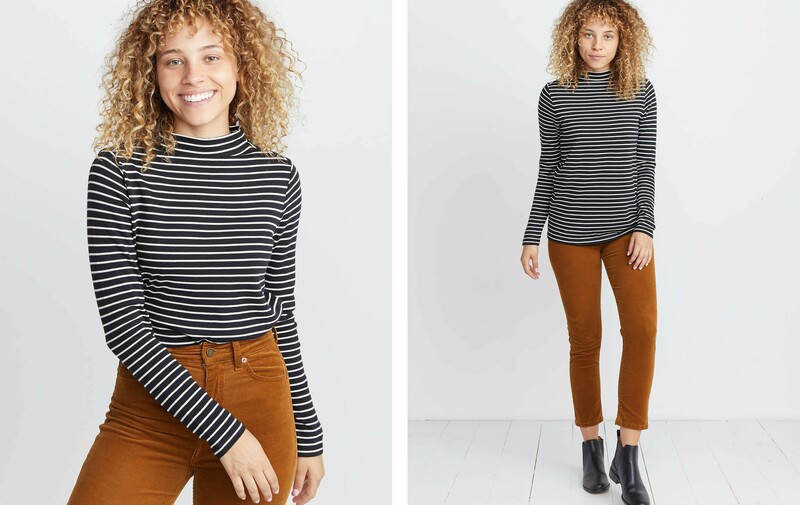 Not quite a turtleneck, not quite a crew neck, we give you: the mock neck. 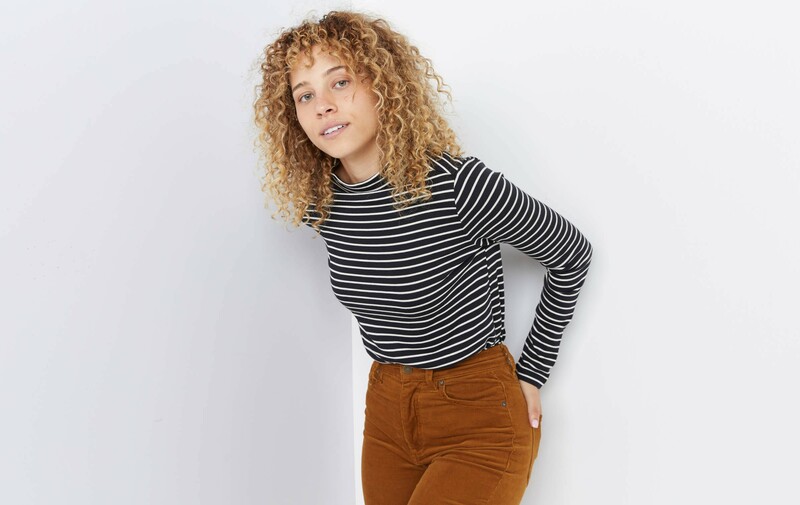 This short funnel neck covers more but doesn’t suffocate you. Win-win. 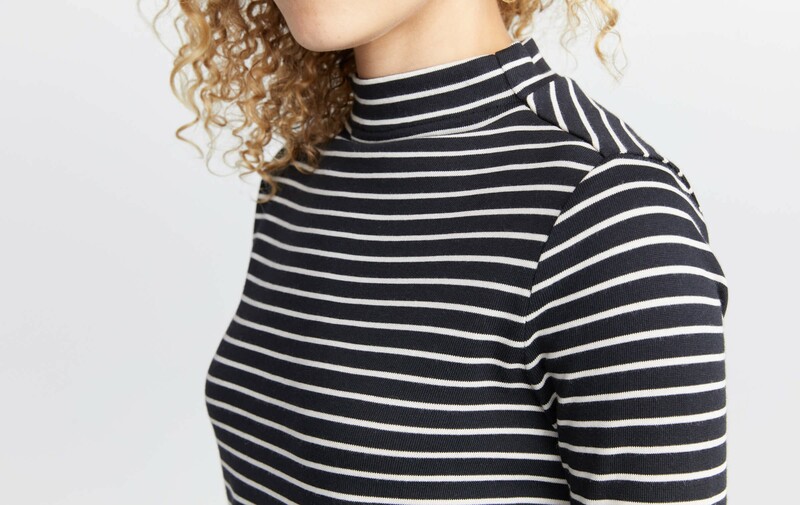 Featuring black and white stripes for a sophisticated look. Another win.